The girls at St Catherine’s have all been considering their bright futures. Since our last newsletter, the Year 12 girls have been to the UCAS Exhibition at the London Excel Centre. The girls enjoyed the visit, and were able to visit stalls held by many different universities. 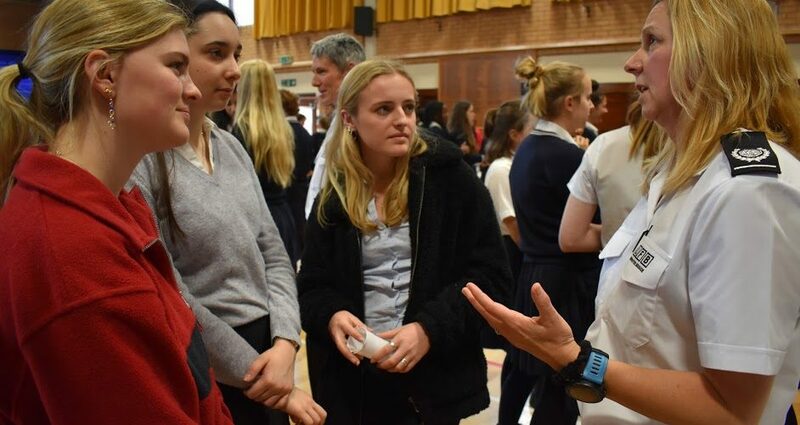 They were able to choose to attend a range of talks, and heard from a wide variety of speakers on topics such as gap years and applying for medicine. Secondly, Year 13 heard a talk from Cardiff University on the topic of student finance. They heard about student loans, and also considered scholarships, bursaries and the importance of being balanced in the approach to part-time work while studying. 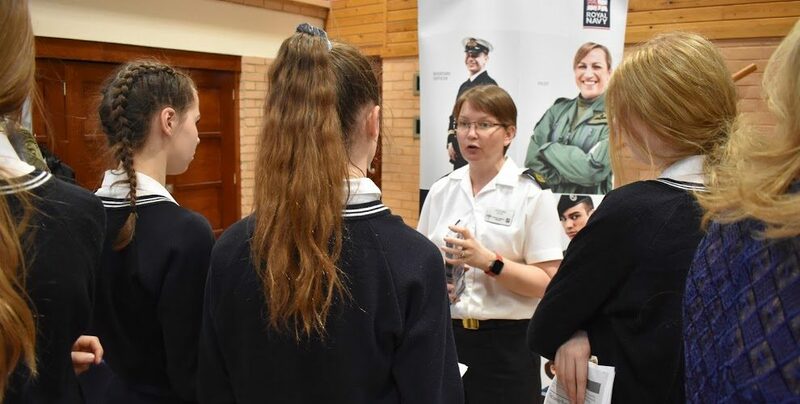 Last but certainly not least, all girls in Year 10 and above attended our biennial Careers Fair. 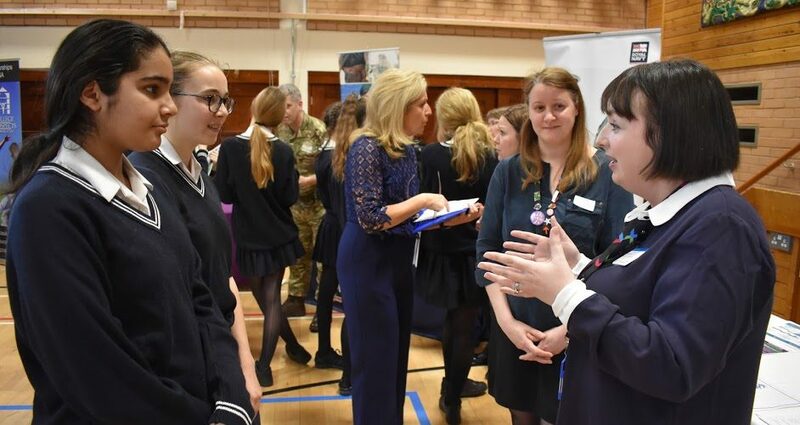 Girls visited a range of stalls from such diverse organisations as Norland Nannies and the Royal Marines, and of course the usual careers such as Medicine and Law were represented, as well as various universities and gap year organisations. 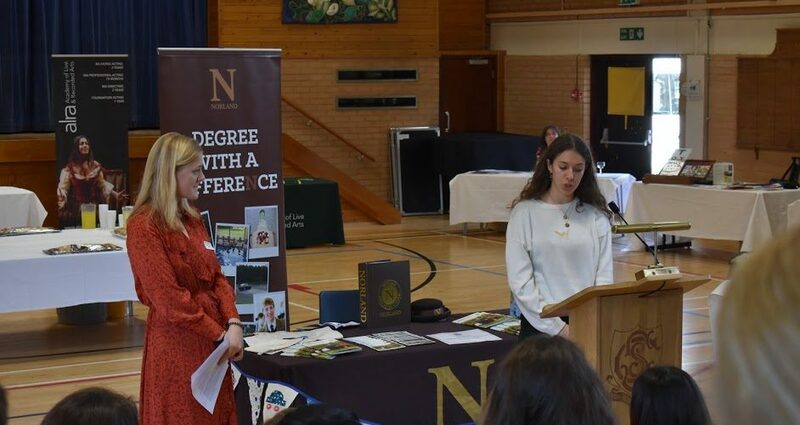 During the Careers Fair, the girls also had their horizons broadened by three outstanding speakers. Firstly, they heard from Jane Philpott, the Deputy Commissioner of the Fire Brigade, and the woman who led the heroic team who attended at the Grenfell tragedy. Jane is a truly brave woman who has plotted a path to the top in a male-dominated industry. Next, the girls heard from Sarah Leviseur. Sarah read History at Oxford, but ended up in the tech industry. She let the girls see how careers can take unexpected turns, and encouraged girls to consider a career in this expanding industry. Lastly, we were pleased to welcome Caroline O’Donoghue. Caroline has is an author and a journalist, and has written for the Times and Grazia, among others. Caroline spoke about her writing career and the importance of taking initiative and developing networks. All in all, the Careers Fair provided a real afternoon of inspiration, and we give our thanks to everyone who helped with this event.